Subject: Congratulations YOU HAVE WON! We happily announce to you the draw of the Ireland Heritage Lottery Fund International Programs held on the 11th of December 2007 in Dublin, Ireland. 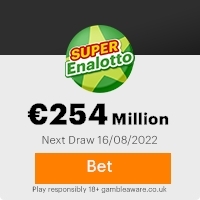 Your email address attached to ticket number: 1456 with serial Number: 5555/05 drew the lucky number 3-1-174, which subsequently won you the lottery in the first category. You have therefore been approved to claim a total sum of $1,000,000.00 (One Million United States Dollars) in cash credited to file wlp/23456/05. This is from a total cash prize of $20,000, 000.00 Million USD, shared amongst the first twenty (20) lucky winners in this category. Congratulations once more from all members and staffs of this program!!! and thank you for being part of our promotional program. This Email with the Subject "Congratulations YOU HAVE WON!" was received in one of Scamdex's honeypot email accounts on Tue, 11 Dec 2007 08:08:13 -0800 and has been classified as a Generic Scam Email. The sender shows as "Mrs. Tracy Hooper" <heritagefund143@hotmail.com>, although that address was probably spoofed. We recommend that you do not attempt to contact any persons or organizations referenced in this email, as you may expose yourself to scammers and, at the very least, you will be added to their email address lists for spam purposes.